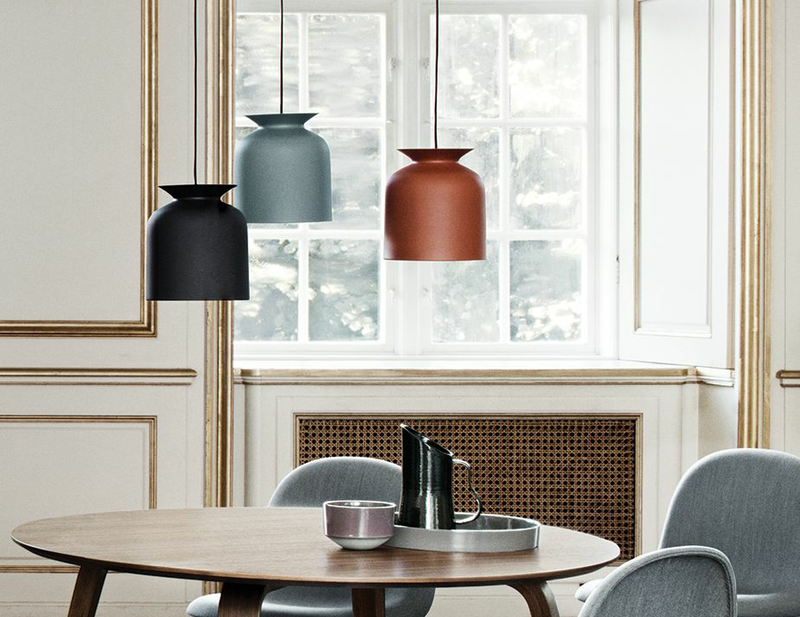 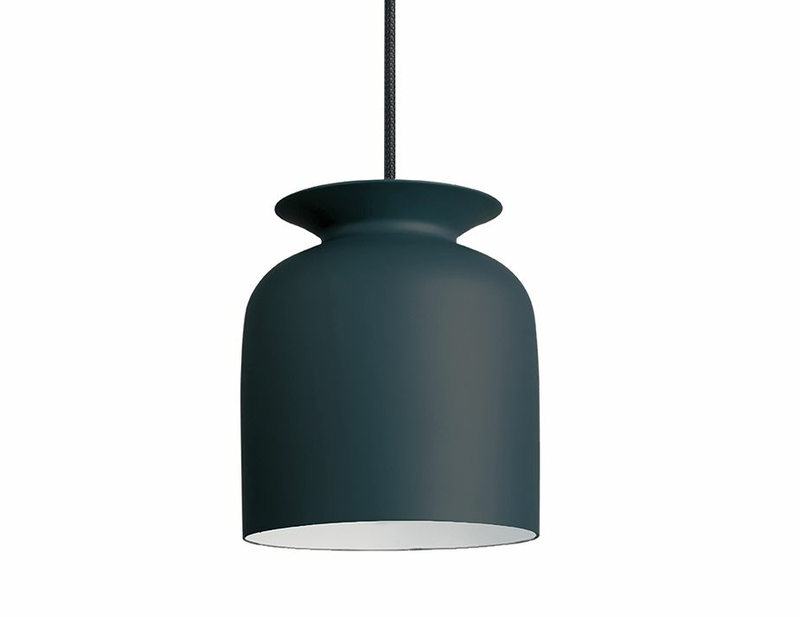 Ronde is a traditional archetype of a pendant lamp with a bell-shaped spun aluminium shade. A unique detail is the opening on the top with an overhanging collar that reminds of a jar such as a vase or an amphora. 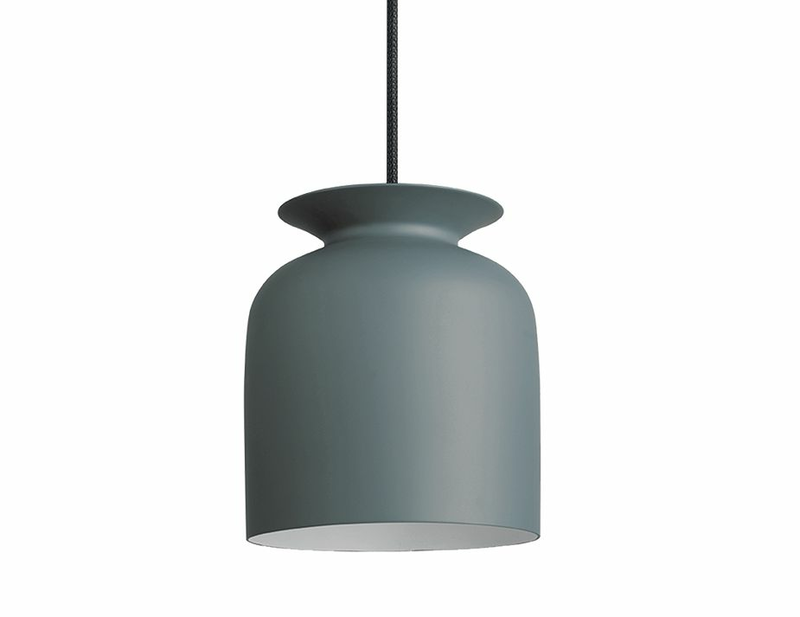 In this design the light spreads out of the spout-like opening and casts a smooth light gradient at the wire and ceiling. 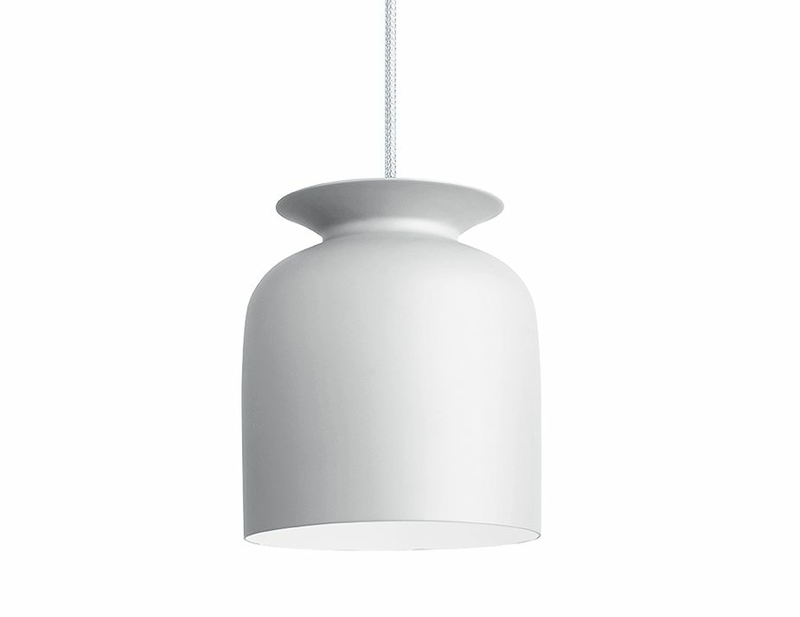 Ronde is in several languages the word for round, circular or rotating but it is also the flat blank used for metal spinning technique, which is rotating around a mould core and shaped to a 3-dimensional body. Canopy included. 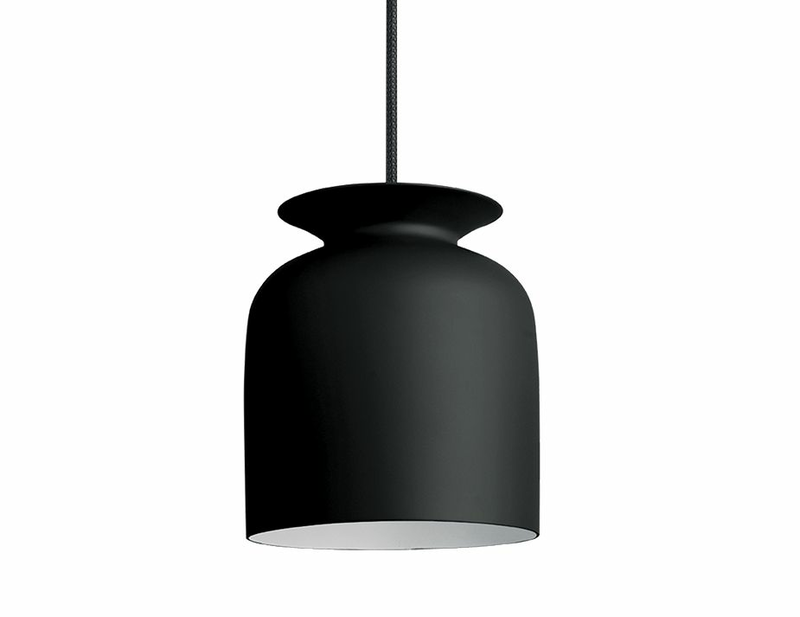 The textile cord is black, except for matte white variation, which matches the shade.